Sometimes, you need to save the results of a query (orange icon) to your computer. This may be to reference in the future, to import into your email marketing program, or to further filter the data in Microsoft Excel – whatever the reason, Ascend allows you to export these results in a variety of formats. From the results toolbar, click the arrow next to the Export button and choose CSV (comma separated values) or XLSX (Microsoft Excel or Open Office). 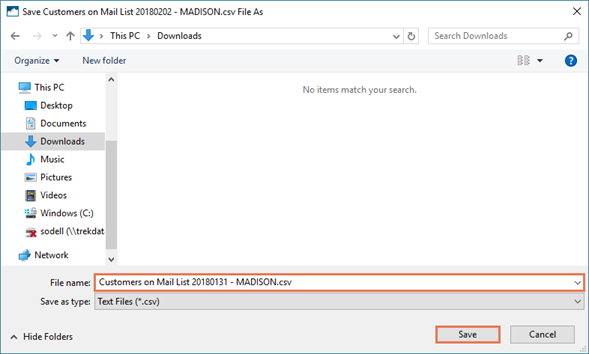 Navigate to the location on your computer where you wish to save the file (e.g. the Windows© Desktop). If desired, enter a new name in the File Name field (the default value is Report name yyyymmdd – Location short name). From the results toolbar, click the Preview button. 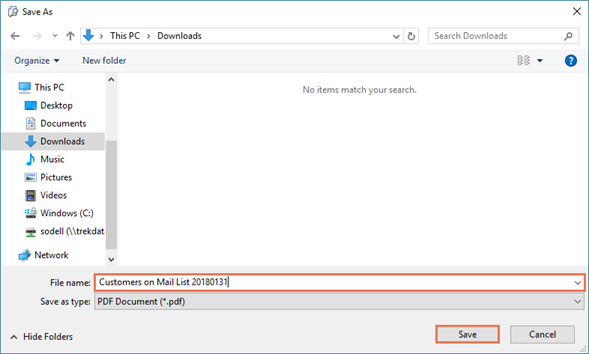 On the Preview window, select the File menu > Export Document > PDF File. On the PDF Export Options dialog box, click the OK button. 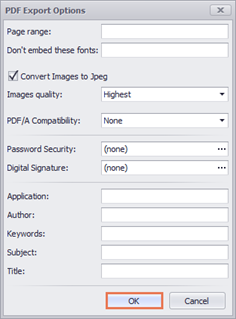 In the File Name field, enter a descriptive name (e.g. Customers on Mail List 20180131).